visible on every page when they are opened. for it to be added. For More Details View The INDEX which can be found in the headline banner of the web site by opening MENU, visible on every page when they are opened. Here is a chart of actual global temperatures from 1880 to include 2013.This is the period of so called man made global warming – yet NASA shows that worldwide the effect seems somewhat insignificant if not non existent. I do not for a moment believe that we do not have Climate Change which has occured on a cyclical basis for Millions of years, long before the evolution of mankind or even mammals, influenced very clearly by our local star the Sun and intermittently by techtonic & volcanic influences with the, fortunately very scarce, large meteoroid &/or asteroid collision such as that which wiped out the hugely successful dinosaurs. ALSO note A Wealth Of CORROBERATIVE LINKS are available both in the header banner and in the text of almost every entry on our site. A clear statement of wisdom that most appositely explains why Wind Turbines require Government intervention to use taxes levied on all, many of whom can ill afford them, to subsidise and enrich land owners and their corporate assistants! DAVIDSON, Pam - The Garstons, Stroat – within 750m from proposed turbine. Minded that it is a relatively sparsely populated rural area, where numerous properties will be level with the blades on the overlooking slopes and clear visibility will be from Aust, Littlehampton, Thornbury, Rockhampton, Hill, Oldbury, Berkeley, Sharpness and beyond as it stands 50% taller than Gloucester Cathedral, undisguised by trees or other obstacles. 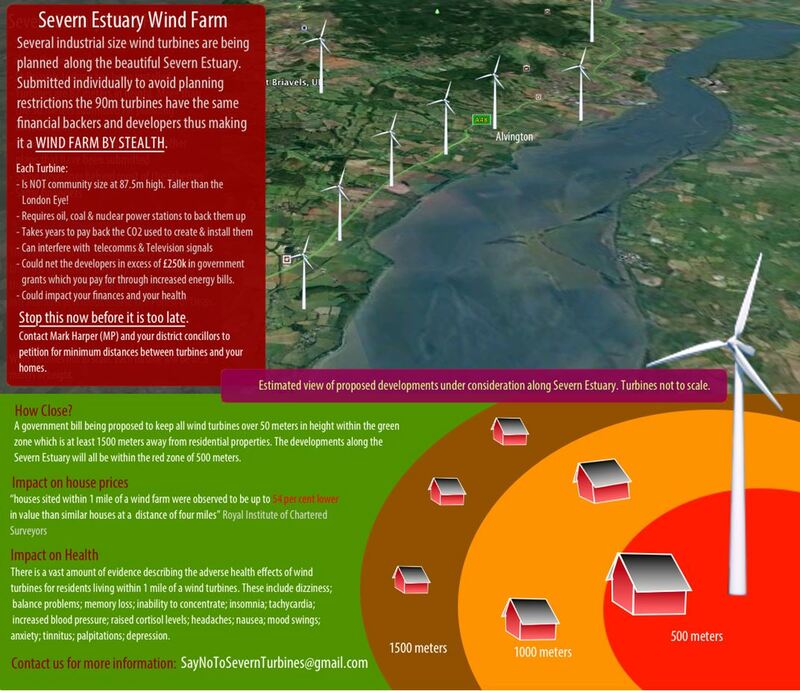 There would seem to be few if any supporters of the imposition of this turbine from within the community – other than those who have signed standard letters provided and vigorously solicited, by the applicants, either as potential direct beneficiaries in the scheme, tenants or employees of the applicant! if YOU fail to help us to draw a line in the sand. This picture shows the applicants photomontage with the accurate scale representation of Big Ben at 96m. also showing 24 Routemaster double decker buses stacked alongside the giant wind turbine! A structure over 100 feet (33m) taller than Gloucester Cathedral and visually within the landscape standing high into the skyline some 8 times as tall as Oldbury Power Station visible on the other bank of The Severn. Minded that distraction is listed as the main reason for accidents, by the Police, it is hardly speculation that this giant moving structure alongside the A48 will be certain to cause additional fatalities on Europe’s most dangerous road! How do the applicants excuse these inevitable killings? These giant wind turbines may well be sited alongside motorways, visible on the given motorway over many miles, not suddenly materialising around a bend or appearing through the mist from the Severn! As they dominate this pleasant rural area, once so attractive to tourism, which formed a major part of the income of the area. Clearly the applicants, their agents and planners have chosen to overlook the enormous environmental damage these turbines cause, not least of which is the massive output of CO2 in their manufacture nor the defacing nature of the structure long into the future of these inefficient and costly follies, long after they have become obsolete and the grants have been withdrawn – who will clear up the mess we have thus left to our children and the ‘community’ in the future? How in fact do the ‘community’ derive any gain from this self-serving application at the expense of the ‘community’, an obstacle that they claim, but do not guarantee, will pay £1/2M into the ‘community over the next 25 years when just two fatalities during that period will cost the public in excess of £1/2M. It is my contention, based upon sound evidence that, for this industrial structure to be placed in such an inappropriate place, would not only be an act of irresponsible folly but a corrupt and criminal abrogation of duty of care by those making, aiding, supporting and granting the application. 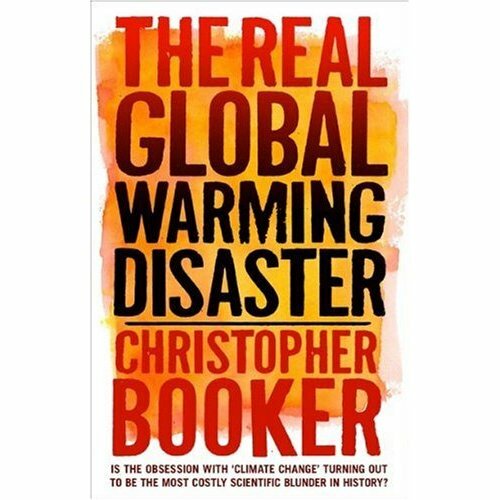 Just consider the quantifiable environmental damage alone, that the Greens and Warmists have been duped into believing does not exist, is beyond any reasonable argument they may try to make. A primary motivation for constructing these evil structures is the dishonest claim that they save on CO2 emmissions, which are ‘claimed’ (without sound scientific evidence) to be responsible for Global Warming and Climate Change (for which there is absolutely no scientific evidence that the anthropogenic input is of any significance). 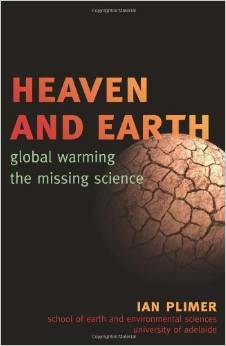 IF you have been duped into believing the claims of the highly suspect and palpably untrustworthy IPCC you should clearly oppose Wind Turbines as an environmentally damaging cause of Global Warming & Climate Change and no part of the solution. Only the dishonest, the corrupt, the gullible and of course the greed of the land owners and profiteers in on the scam could overlook the FACTS! Consider the Carbon Footprint of a wind turbine before it even starts to produce any power, and conveniently ignoring transport of materials and fabricated structure, not to mention the movement of supersized cranes etc and most definitely ignoring the damaging legacy and the carbon footprint to restore the land after its destruction both in excavation of materials and dismantling the defunct turbine and its 480 m3 plinth. 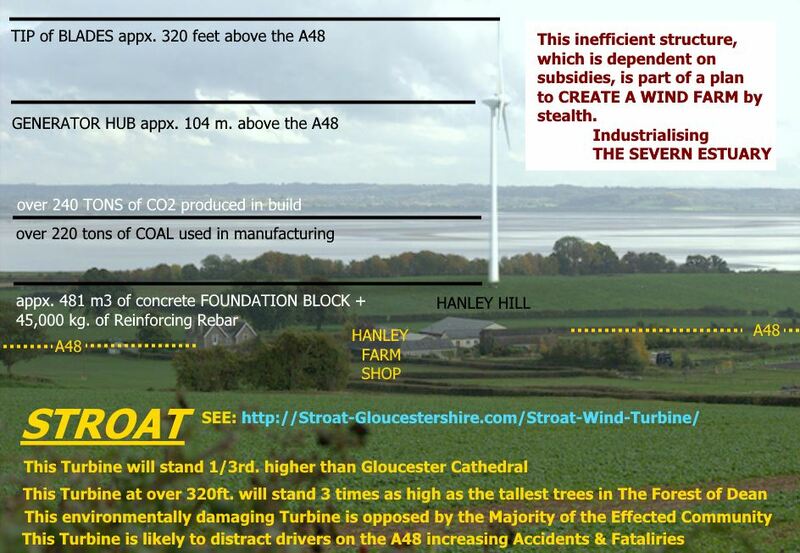 So what is the carbon foot print of a wind turbine with 45 tons of rebar & 481m3 of concrete? try 241.85 tons of CO2. Here’s the breakdown of the CO2 numbers. To create a 1,000 Kg of pig iron, you start with 1,800 Kg of iron ore, 900 Kg of coking coal 450 Kg of limestone. The blast furnace consumes 4,500 Kg of air. The temperature at the core of the blast furnace reaches nearly 1,600 degrees C (about 3,000 degrees F). The pig iron is then transferred to the basic oxygen furnace to make steel. 1,350 Kg of CO2 is emitted per 1,000 Kg pig iron produced. A further 1,460 Kg CO2 is emitted per 1,000 Kg of Steel produced so all up 2,810 Kg CO2 is emitted. 45 tons of rebar (steel) are required so that equals 126.45 tons of CO2 are emitted. To create a 1,000 Kg of Portland cement, calcium carbonate (60%), silicon (20%), aluminium (10%), iron (10%) and very small amounts of other ingredients are heated in a large kiln to over 1,500 degrees C to convert the raw materials into clinker. The clinker is then interground with other ingredients to produce the final cement product. When cement is mixed with water, sand and gravel forms the rock-like mass know as concrete. An average of 927 Kg of CO2 is emitted per 1,000 Kg of Portland cement. On average, concrete has 10% cement, with the balance being gravel (41%), sand (25%), water (18%) and air (6%). One cubic metre of concrete weighs approx. 2,400 Kg so approx. 240 Kg of CO2 is emitted for every cubic metre. 481m3 of concrete are required so that equals 115.4 tons of CO2 are emitted. Now I have not included the emissions of the mining of the raw materials, nor their transportation, or the transportation of the fabricated materials to the manufacturing site, nor the transportation of the fabricated turbine to the turbine site. I have also omitted the cost of transportation of rebar, gravel, cement and the like to the erection site and also the cost of manufacture and laying of access roads in terms of CO2 emisions is also left out. 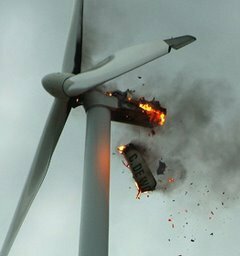 Therefore the emission calculation above would be on the low side at best, downplaying the environmental damage clearly caused by wind turbines – a damage that is likely to take upto 15 years at optimum output, of the turbine in question, to recoup IF EVER! None of these calculations give any consideration of the environmental damage caused by the installation and use of Diesel Generators, supplied by the tax payers, at the site of wind turbines, to make good the wind turbine’s regular shortfall when they fail to function due to repair, service or wind variations – be it either too low a wind or too high to produce power for the grid! Interestingly the feed into the grid from the diesel generators is expected to accrue to the total from the wind turbine, thus receiving the same feed in tariff, making it almost impossible to differentiate between the feed in tariff handouts given to the turbine operators & owners, whether produced genuinely from the tax payer subsidised wind turbines or by their tax payer funded diesel generators! or as it becomes superceded. I regret this document is lengthy and detailed, but I make no apology for bringing to your attention the facts, with many links and cross references, as this application by: Mr. & Mrs. Lyndon & Maria Edwards; who own Hanley Farm Shop, Hanley Office Complex, Hanley Allotments, Severndale Farm etc. The application being in the name of District Councillor Mrs. Lyndon Edwards, together with others, will scar this Area of Outstanding Natural Beauty for generations to come. It is worthy of note that the previous Mrs. Edwards, aware this industrialisation of the area was in progress/planned, sold her property in the immediate area and moved away and that the current Mrs. Edwards put her name forward and was recently elected as a FoDDC councillor without making it clear to the electorate at large, that she had a pecunniary interest in this application as the named applicant and with her husband and others sought subsidies from the public purse from unsuspecting tax payers and electors in the community, both locally and at large and seem to wish to ‘pass off’ the application as in some consequential way being a ‘community project’, which it clearly is not, despite utilising a tiny portion of the monies raised by public subsidy from the tax payers, in a morally unpallatable manner, as a thinly veiled bribe! A so called ‘Community Project’ which has undeniably failed to gain the support of the ‘community’ and has been rejected by their elected representatives on Tidenham Parish Council. To continue to claim this is a ‘Community Project’ is thus clearly dishonest and thus a deliberate attempt by the applicants seeking to profit by this as misleading – thus a dishonest scam! My opposition to this application to industrialise this rural AONB is primarily because I find it morally reprehensible on numerous grounds, totally inappropriate in this proposed location visually and as a threat to wildlife on many levels, its possible risk to life due to its proximity to Europe’s most dangerous road the A48 in a stretch that has seen two fatal crashes this year SO FAR. 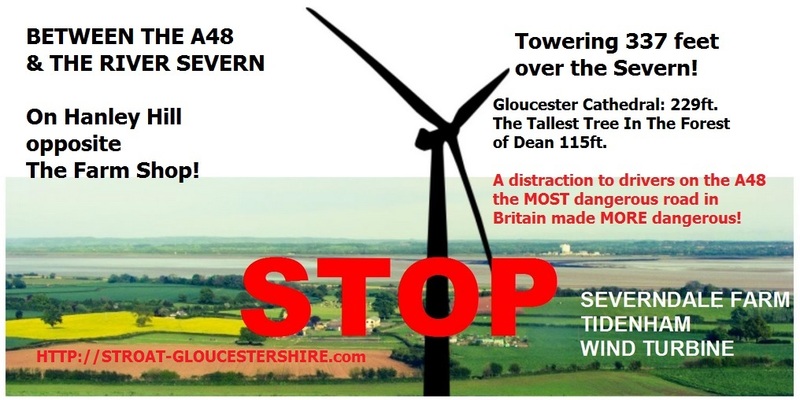 Briefly: I also object on the grounds that Wind Turbines are an inefficient and largely unsustainable means of producing electricity, thus requiring grant aiding in their construction and an ongoing subsidy (as confessed by the applicants, under cross examination at The Parish Council meeting 20-May-2015) by support of around £150,000 per annum paid by levying taxes on the poorer sectors of the society and enriching those sufficiently wealthy to instal these monstrous structures with their monstrous damage to the community within which they are located. I am happy to support my opposition and the grounds on which I oppose this application and similar such applications with my identity together with my Post Code, aware that already a threat of violence has been made, by a supporter of this application from outside the parish, against a member of the community if they do not withdraw their opposition to this odious application and its dubious nature, which is clearly NOT a community supported attempt to industrialise this area. I trust this is of help to you. Individuals wishing to make their position clearly known in this damaging & potentially precedent setting application for industrial developement of this area of rural landscape of AONB potentially fatyally close to the A48, EUrope’s most dangerous road per vehicle mile travelled and so clearly unpopular and damaging not only to the community of Tidenham Parish specifically but the FoD & these United Kingdoms in general. It should be noted: just how unpopular this instalation is to the local community where it is clear the majority of support for the damaging and dangerous concept comes from outside the community, beyond Tidenham Parish, but is also clearly commercially orchestrated by the applicants seeking personal profits at the expense of the community they make a very clearly dishonest attempt to dupe people they pretend to serve. It was publicly accepted at the Parish Council meeting, by the applicants, that they expect to receive a £150,000 subsidy per annum (as they confirmed they do on their St. Briavels installation!) and that the share of the professional body acting as applicant also values its share in the St. Briavels Wind Turbine at £500,000 (believed to be a 50% share) clearly hugely profitable even at an admitted 20% efficiency – this has led to what seem to be bribes valued at £25,000 (though quoted on their web site as around £17,000) only disbursed amongst the community – thus unlikely to compensate ANYONE, let alone the community, for the damages experienced and insignificant in regard to the applicant’s obscene profits exploiting the public purse! Clearly as these Wind Turbines are grossly inefficient and far from cost effective, requiring massive tax payer subsidies, this is nothing less than a tax on those who may well not be able to affort the cost of enriching those who are already well off! Not only is the entire concept morally dubious it is anti community interests and do note the Alvington installation is still dishonestly being described as a ‘community project’, when in fact it was resoundingly rejected by the electorate (viz. Community) by their elected Parish Council and by their elected Forest of Dean District Council – a display of just how anti ‘community’ this project is can be seen from the undeniable fact that it was forced, undemocratically through appeal, on a community which had resoundingly rejected it at ALL community levels! I do wonder just howmany of the 4,300 or so homes in Tidenham are aware that they are most likely to be legally responsible for informing any would be purchaser of their property, should they wish/need to sell, that a massive industrial installation is under consideration and when/if turned down by the community is likely, based on their track record, to be appealed to be forced on the community by any legal means they can, however morally repugnant and contra the needs and wishes of the community they may be – as they did with the Alvington installation and do bear in mind that these plans were put forward in 2012 but withdrawn at that time, most probably in fear of rejection at that time due to being linked with other applications. Could it already be that individuals who have sold property in the parish since 2012, who were aware of the determination of the applicants were to use any means and any timing to force their personal profitable interests on the unwilling community, may well be open to being sued for possible damages having failed to inform their purchasers! May I take this opportunity to stress that although the claimed comment period officially closed on 18-May-2015, already the Parish Council has obtained a derrogation until 31-May-2015. It is also worthy of note that our community’s, MP Mark Harper, has undertaken, through his office, to support my request to extend the period of consultation and I am informed has read my letter of protest at this unprincipled and self serving application that is so clearly against the interests of the community at all levels and utterly inapproopriate within this parish and/or on the banks of the Severn Estuary between the Severn Bridge and Gloucester, whether on the North or South bank – I gather he has highlighted points and forwarded my letter (see PS – 15 below) to the FoD DC Planning Department seeking certain answers and assurance on those points be sent to him. Please note that the application has been called to Planning Committee prior to the election (likely to be 14th July 2015 committee) and that any representations received prior to the 30th June 2015 (deadline for my report to be finalised) will be taken into consideration. DO ALSO NOTE PS – 17 below from FoD DC Planning Dept., which updates this letter, received by email 22-May-2015. In the light of Stephen Colegate’s undertaking in his letter above, as updated PS – 17 below, Please continue to register any concerns you have about this application to industrialise this site in a dangerous and disadvantageous manner to the community for the personal gain of a few wealthy investors, with no consequential gain to the community relative to the massive public funding and indisputable profitability for the applicants. In an effort to assist the planners please try to confine your letter to actual planning matters – there is absolutely zero value in standardised letter signed up to by individuals on the internet who have no real understanding of the community and location concerned nor any understanding of the deeply flawed logic and morality of inflicting these grossy inefficient and thus hugely subsidised industrial installations. Furthert petitions may try to dupe people into believing there is support but all too often signatures are added based upon insufficient understanding and be people who are not of and have no connection with the community the applicants dishonestly pretend to represent. WEDNESDAY 20TH MAY AT 19:00hrs. this installation will stand approximately between Hanley’s Farm Shop & The Severn and will stand 337 feet above the river! Visible from much of the FoD & South Gloucestershire visible from as far away as Gloucester and setting a precedent for many more on the estuary banks – others are in the pipeline already! Change of use of agricultural land to wind turbine and installation of a wind turbine to generate renewable energy, including grid connection and ancillary works. + Concrete Mount Block ? Big Ben is closer at 312 feet! The London Eye, which dominates the London skyline is 12 feet smaller at 325 feet! There are 0 cases associated with this application.There is 1 property associated with this application. I appreciate the primary reason for installing such wind turbines is clearly, on the part of the installer, owner or shareholders & land owner is personal profit.However the science behind the installation of such turbines is indubitably suspect and the efficacy of such installations is equally dubious.A measure of the false economy of these installations is the undeniable fact that they require massive subsidies to justify their installation. It is also well known that they are hugely inefficient and in many cases outright dangerous, not just to wild life and birds but in terms of the damage to the environment. 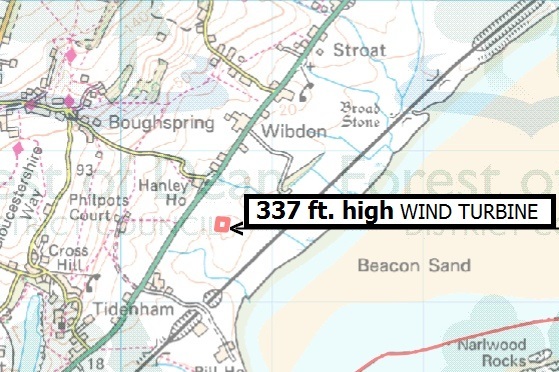 One should also be minded that a man standing at sea level has a view to the horizon of approximately 11 miles, which may give some indication of over what distance such a building some 200 feet high will be an eyesore.It is interesting to note that an application was made for just such a wind turbine in 2012, though it was withdrawn in some haste and rumour has it that not only was there a belief that it would not meet with favour but that it lacked sufficient funding and grants to go ahead, presumably as it is realised these turbines are not cost effective ever increasing grants/subsidies are sought!It is also worthy of note that this application has the same level of integrity as others that have been made! Although the application indicates that it will be a structure of 197 feet or 60 meters the truth is that despite this quoted headline figure the total will be much greater when the height of the sails is included! The actual height will be 87 meters or 286 feet thus over 80 feet higher than the headline size quoted.Do also bear in mind that the installation is planned for Hanley Hill, which is 22 meters above the river level, thus the finished height will tower 335 feet above the river Severn AND standing on a massive concrete block so over that height!, this is heigher than Wintour’s Leap!It is worth noting that the largest trees grown in the Forest of Dean are Douglas Firs which grow to a maximum height of a mere 120 feet or one 1/3rd the height above the river of the finished height of the wind turbine planned!The same trick, of quoting the ‘axis’ height, was pulled in the application for just such a turbine to have been installed on the South Gloucester side of the estuary, which thankfully was denied permission, being not just an eyesore but inefficient, likely to set a dangerous precedent and for many significant technical reasons that had similarly been obfusscated in the application documents.We must remember that whether the installation is profitable to the installers or not and the fact that it is dependent on subsidies, thus being a method of taxing the poor to fund the wealthy and land owners is NOT a planning consisderation – morality does not enter into the decision making for a public body!Just at the time that this application has been accepted, it has been accepted that Britain’s ONLY option to maintain power security is to commission new nuclear fuelled power stations, it is anachronistic to use this outdated and unsustainable wind turbine concept.This particular installation will be visible from Gloucester, Berkley, Thornbury, Aust and beyond, in view of its height!Let us also take note that there is a similar wind turbine located some 5 to 6 miles from Stroat and neighbours of mine in Stroat advise me that at some times they can hear the noise it generates! Imagine how much more significant the industrial noise output will be from Severndale farm for residents of not just Stroat but Woodcroft, Tidenham, Sedbury and Tutshill!It is astonishing how glibly the Politically Correct so called ‘green’ lobbyists are willing to set aside their own principles and install these industrial eyesores in areas of outstanding natural beauty when they will shortsightedly and often irresponsibly oppose more rational developements in rural areas!Also do be minded that NEVER has a responsible risk assessment been made, of these wind turbines, which are widely understood to have a catastrophic effect on both micro organisms and larger which maintain the health of soil surrounding the installation over a considerable distance and is believed to be responsible for forms of soil cancer!May I submit it would be irresponsible to grant this planning application and in endorsement of this fact may I commend to you two authoritative and responsible publications that have researched many of the facts regarding the unsound science surrounding the claims of those seeking to profit from these installations and beguilled by the bias of organisations dependent on public subsidies for their profits.First I advocate: as a second book to read I suggest: You may be interested to know that much of the science claimed that underpins the subsidy of this particular form of inefficient, unsightly and massively expensive concept of electricity generation is based on the IPPC Report, which was founded on the now widely discreditted work of Al Gore & Ragendra Paschauri, who has recently lost his job in this field and has been shown to have VERY partisan interests.It is also worthy of note that even if you swallow the propaganda put forward in support of these profitable installations, from those making the profits from subsidy, you will find that it requires some 10 years at optimum continuous output to directly fund the installation and compensate for the so called carbon footprint of the manufacture and installation, together with related infrastructure – Two factors are conveniently overlooked by those profiting firstly this makes no allowance for the life expectancy of these turbines and secondly it does not allow, in the costings, for the removal of the installation and reinstatement of damage when the installation becomes time expired.It is notable that no provision is apparent to cover the costs of decommissioning and reinstatement, is it the glib assumption of the profiteers that the public will once again be tapped up for further subsidies and subsidy of such electricity to hopefully be produced and sold to the very public who were forced to subsidise the installation!You may also note that to manufacture the concrete block on which such a large structure will be footed, to ensure it does not crash to the ground, requires a large amount of both sand and stone and the hugely environmentally damaging production of cement – frequently produced in third world countries where the damage done is conveniently overlooked viz Nigeria, where large areas have been destroyed and at best decimated by the chemical outfall, not to mention the minor details of environmental damage in shipping these commodities to Britain and onward to site!Also do be minded that they have been known, not only to catch fire but also to fracture in high winds when they get older. Another feature is that as they age like most equipment they are prone to becoming noisier and even by the applicants admission the DB rating is expected to exceed the legal maximum rating on the farm at the residential home and thus for the livestock.The legal maximum is a rating of 35 DB and by the applicant’s own estimate this industrial noise is estimated will be 35DB at several of the adjoining properties.Also do be minded that there is absolutely no doubt that these pieces of industrial equipment DO lead to the death of numerous birds (some estimates show some 300,000 per annum!) and have a catastrophic effect on certain wildlife..That said it is however not, seemingly a planning matter, that these vast unsightly structures are neither cost effective, nor do they deliver any level of so called ‘green’ or environmental benefits and it seems that their danger aside they can, tyhough the overwhelming majority of people consider them wholely inappropriate in rural areas be sited in Areas of Outstanding Natural Beauty (AONB) and at sites of Special Scientific Interest (SSI)! It is worthy of note that since time immemorial the immediate environs of Hanley Hill and the local reed beds have been a gathering area for migratory birds before they head for better climates in the autumn. Minded that my wife counted 47 martins in the sky immediately above our home and our neighbour in Stroat House, and others in the immediate area such as Wibdon Farm, have incurred huge expense making provision to accommodate bats it is hard surely to justify these monster bat and bird killers! There clearly is no ‘green’ argument in favour of these industrial structures!There is also the issue of the use of rare earth minerals to quote Wikipedia! The production of permanent magnets used in some wind turbines makes use of neodymium. Primarily exported by China, pollution concerns associated with the extraction of this rare-earth element have prompted government action in recent years, and international research attempts to refine the extraction process. Research is underway on turbine and generator designs which reduce the need for neodymium, or eliminate the use of rare-earth metals altogether. Additionally, the large wind turbine manufacturer Enercon GmbH chose very early not to use permanent magnets for its direct drive turbines, in order to avoid responsibility for the adverse environmental impact of rare earth mining. To view the original of this tabulation CLICK HEREI believe that our new Councillors and Politicians elected on 7th. May have a duty to ensure the consultation period and the publicity of this proposition are extended.You will note that the application date was at a time when Parliament had been prorogued and we were without the benefit of an MP representing our daily interests and future issues – this losing 21 days of the representation period before we were once again able to call upon our MP.During this same period our Councillors were also actively campaigning for re-election and new councillors and MP could well come to office on the 08-May!It is morally wrong and should not be possible that the overarching importance of a General and local election should be permitted as ‘a good time to bury bad news’!